It's a crisp fall morning here but the days have been pretty nice so far. Sure can't complain the days seem to warm up in the afternoon. I haven't posted in a while sorry about that, sometimes things just happen in life that make it hard to do the things that you love and have a passion for. I truly love being able to loose myself in artistic things, cause those artistic things consume you for the good and give you a creative outlet. Your mind just focuses on what you are doing or creating. I have poured myself into that aspect of my life last couple nights so I will be sharing some of my creations a lot in the next little bit. 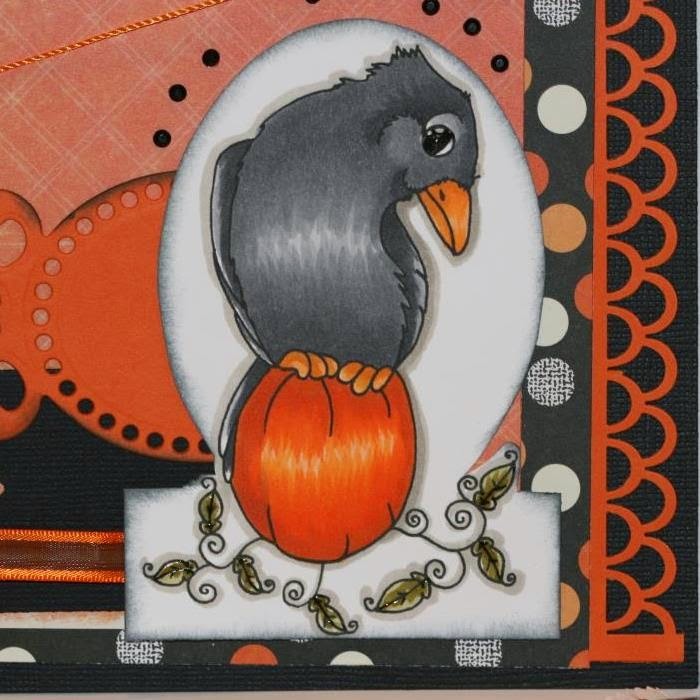 Here is my newest card, using a adorable image from Whimsy Stamps designer Miss Rach. This image is called Autumn Crow. 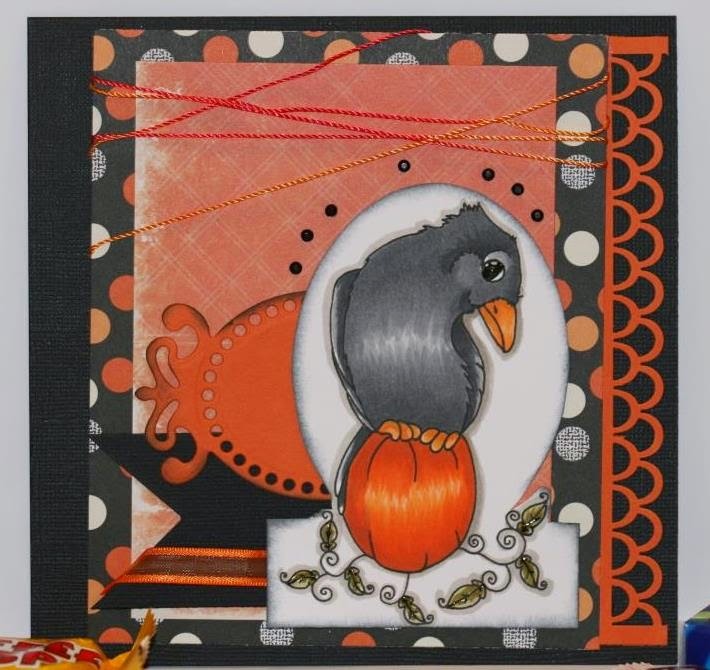 I made this card in all the fall colors and gave it a Halloween theme cause the little ones will be out trick or treating next week already. A bit closer look at the colored image, I never did it as black as crows are but I didn't want to loose the detail in the image. Remember to give yourself some you time today, loose yourself in a couple minutes of what brings you joy.